Draft Neighbourhood Plan – Give Your Feedback!! It’s coming together! We held a great evening to check out the Draft South End Neighbourhood Plan on June 19. There is still a small window of time for you to give your feedback on the plan (which would be truly valued and appreciated. Here’s how. 1. Go to the City website by clicking here. 2. Read through the documents under Phase 4. 3. Click on the “comment sheet” link to offer your comments on line. 4. If you would prefer to answer the questions on paper, you can download the form by clicking below. Please bring your completed comments to the SECA meeting on Wed July 7. Deadline is Wed July 7. This is your final chance to be heard! Thanks for your feedback. 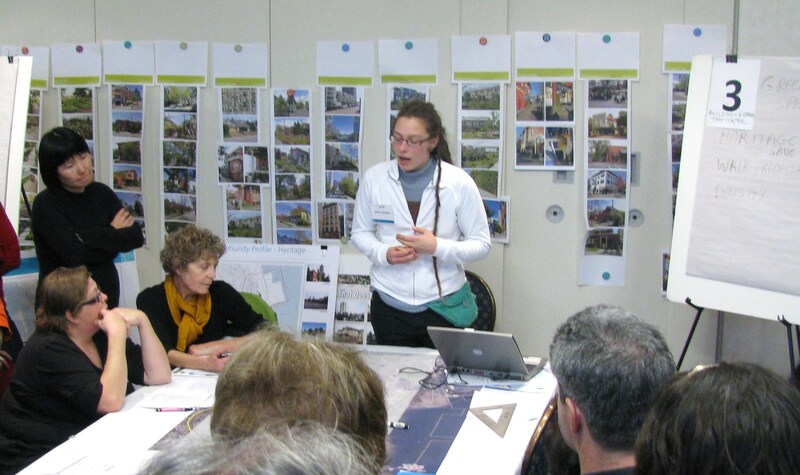 About 120 people showed up Tuesday March 2 to check out some of the ideas that sprang from the Neighbourhood Planning Charette in early January. There were a variety of maps and options, all extremely detailed and well capturing of much of the input that has been received so far. Can you imagine a vibrant village centre at Haliburton and Needham? Small park areas in view and open spaces? A Granville Island type of scenario near the Wharflands? All pretty creative ideas, and all mapped out in living colour for discussion and feedback. If you want to review those display boards and provide your input, you can do that on-line. Click here to access the display boards on the City of Nanaimo website. Look under Step 3: Concepts and Options. You’ll see 4 boards you can review. There are 2 options for providing feedback: 1) on-line or 2) a downloaded option that you can hand write in responses. Deadline for feedback is March 15. If you haven’t been involved in the Neighbourhood Plan yet, but you’re interested, then this Open House will be a real eye opener for you. City staff have been busy collating and working through all the amazing ideas that came up at the Neighbourhood Plan Charette on January 8-9. You are invited to attend the Open House to review the Concepts and Options for the Neighbourhood Plan and comment on our progress to date. This is a great opportunity to see how public input is helping to shape the South End Neighbourhood Plan. This event will be publicized in local newspapers, and flyers will be distributed in the mail. In case you don’t get one, you can check it out here. To see the overall process that is being used, click here.